The settlement of the West was truly only possible because of the ease of transportation that railways allowed. In the rush to construct these railways, financing was hurried and things were overbuilt. The Panic of 1893 followed, causing the collapse of major rail lines and bank systems. 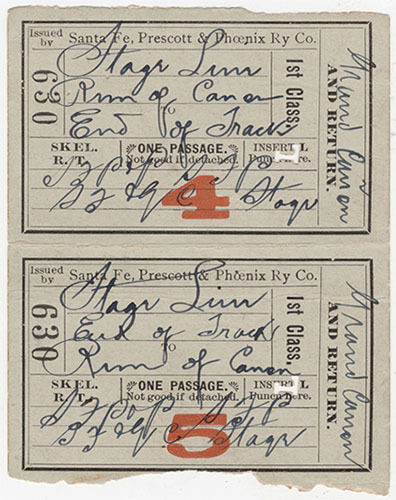 As bankrupt systems were sold off, ownership was consolidated, and rail travel entered a new age. 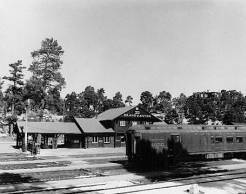 Despite rail use quickly trickling off after the emergence of automobiles, trains were imperative for the settlement of the west and therefore the civilization of the Grand Canyon. The prominent railways involved with the canyon are the Atchison, Topeka & Santa Fe Railway (AT&SF, later just the Santa Fe), the Union Pacific, and of course, the Grand Canyon Railway.